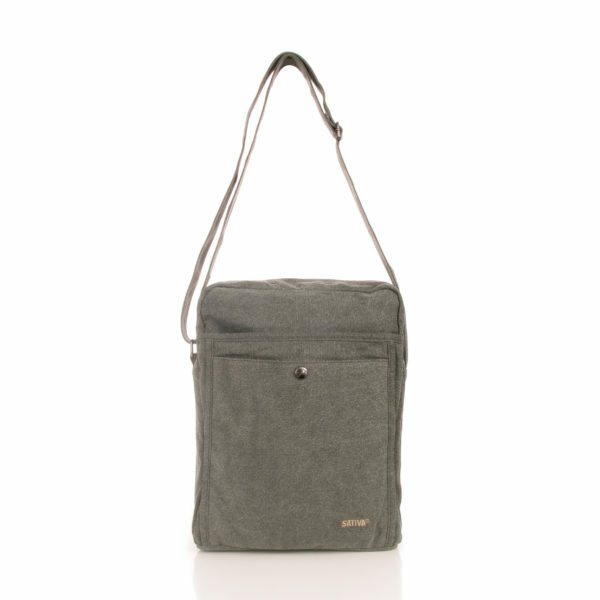 Category: Sativa Hemp Bags Outlet. 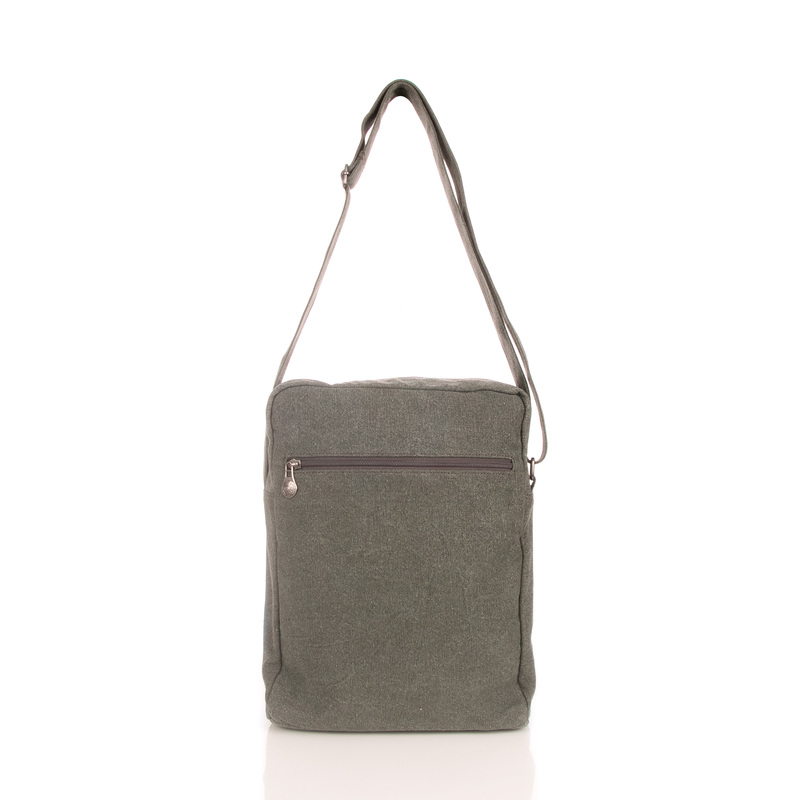 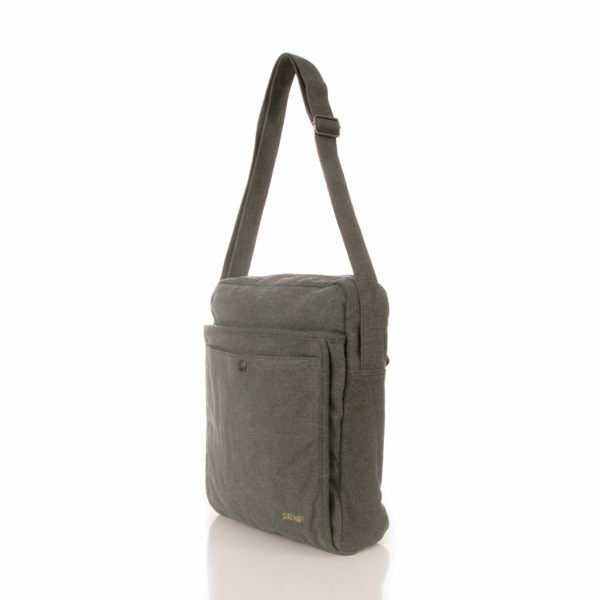 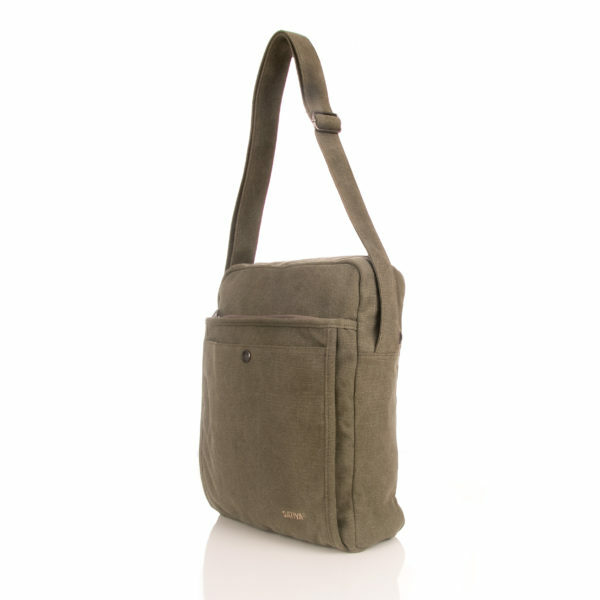 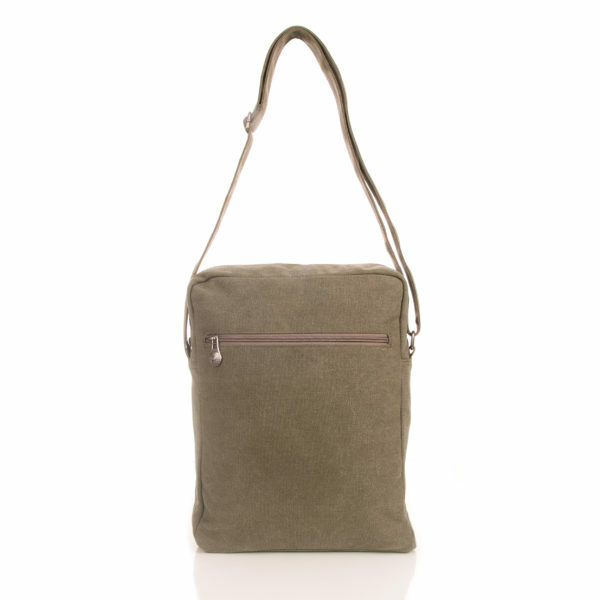 Constructed from a special Hemp and Cotton mix, the silhouette is modelled around a slightly larger version of an A4 peice of paper, so holding your your papers and books is perfect for this bag. 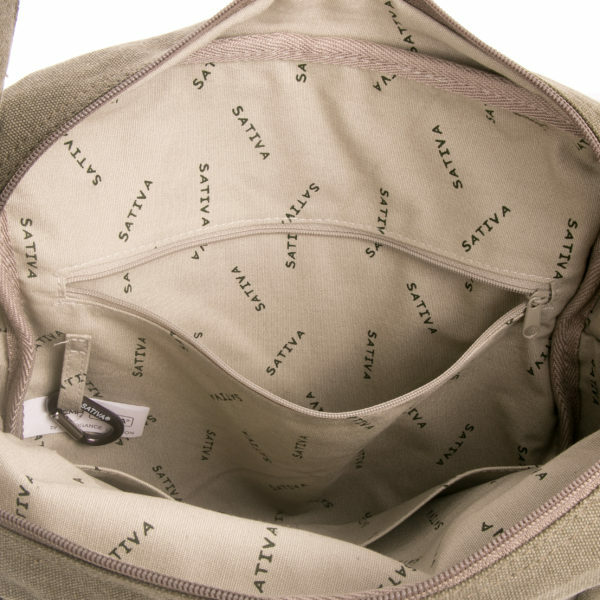 Heavy duty Sativa Hemp zippers will get you into the main compartment which features a large zipped pocket and a Sativa Carabiner, where you can clip on your house or car keys securley inside. Whilst the other side features dual deep slip pockets. 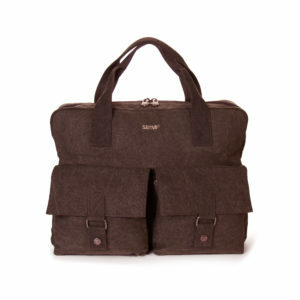 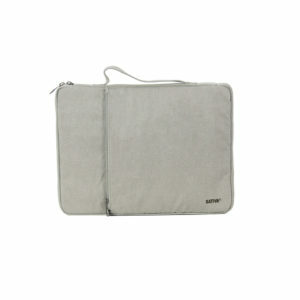 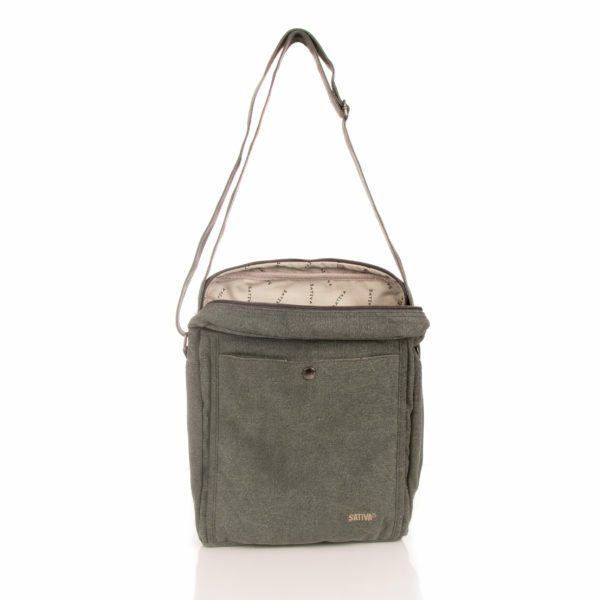 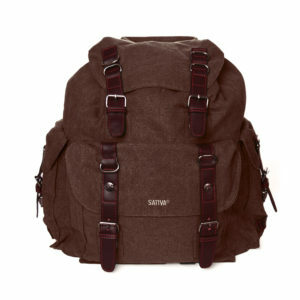 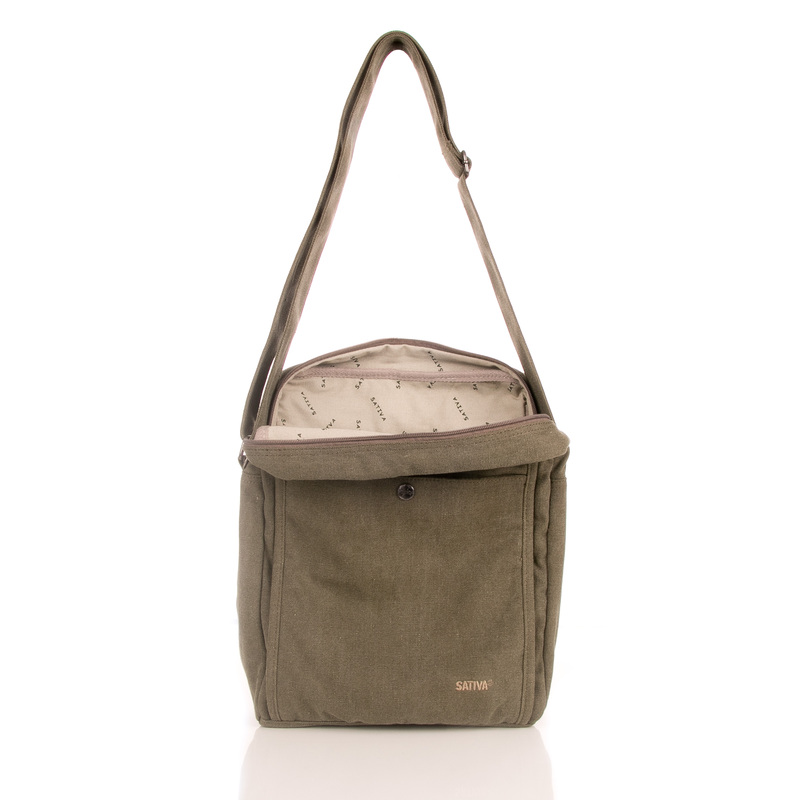 The outside provides two large zipped compartments on the front and the back. Additionally theres another pocket on the very front (on top of the zipped pocket) which is fastened by a very strong Sativa Hemp magnetic button. 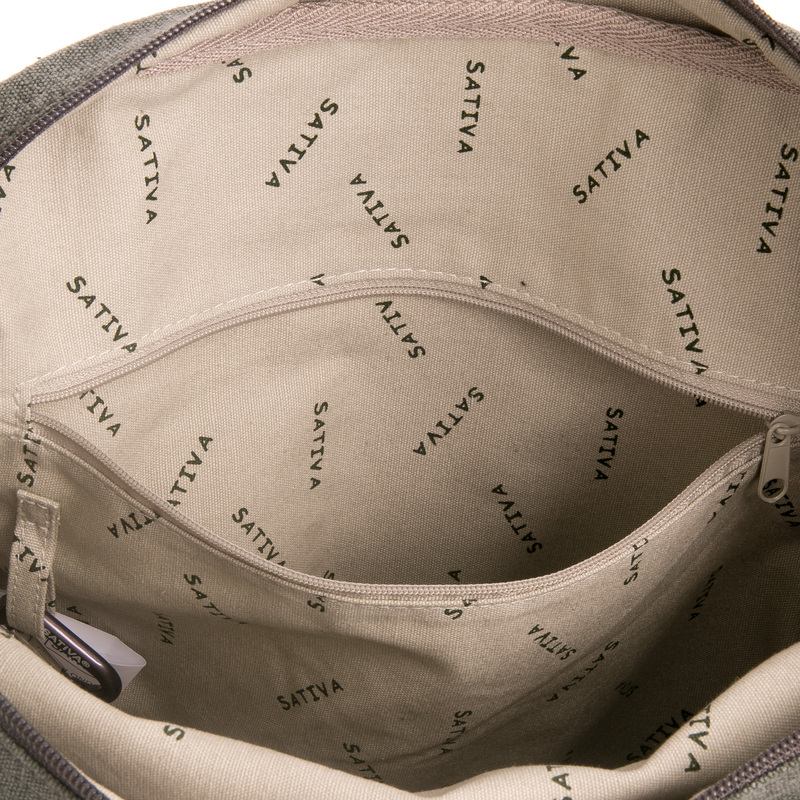 The inside of this pocket also features pen slots to keep everything nice and organised.